There is no other smooth and a great way than blogging to market something or promote yourself or your business. Attesting to the popularity of the blogging, one can express their thoughts and opinions on varied aspects of society including politics, religion, and science. One can eventually establish themselves as experts by continuing in this field and can connect with more people in the similar or dissimilar category. People usually start a blog for fun and eventually earn money through advertising and other sources. However, to reach that part of sacking the money, you will have to promote your blog. It is important to know who your ideal reader is and what kind of audience would want your information. Just as you know your audience, you can create a one-pager under construction. While your page still needs some prime time to face the audience, let the landing page weave its wonders on the people who visit it. Your blog might be one of the best and most interesting blogs, and it can all start with a beautiful under construction page for your website. 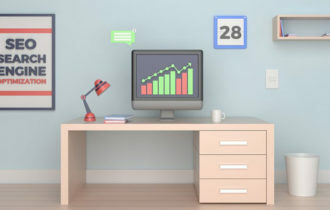 Moreover, using an under construction plugin will display the social media profiles to connect, and it can also be turned into an SEO friendly page. To begin with, register with a domain name that reflects your product or your area of expertise. Later, find a web hosting company to get your domain name on the internet. Once these steps are done, the only remaining work would be creating the content to build the website. However, before rushing to design your site with all the content, pictures, blogs, and videos, it is always a plus point to start it with an under construction page. Why Under Construction is a good idea to start with? One of the main benefits of putting your website in the under construction mode is to be able to work on the website while it is still up on the online. You can work on the offline page, and no one will know the changes done until it is up and running. While you are taking your time to complete the website, the audience will be shown a landing page that can entertain as well as gain popularity. Here are some of the turning aspects that can make a difference all by using an under construction page for the website. A beautiful under construction page can get the customers talking, and there will be an increase in the number of followers. There is a large scope of getting your social media feeds increasing rapidly. Create an anticipation of your upcoming site and thereby informing users when to expect your full site. Overall, there will be a great deal of promotion, subscribers, and new mailing lists for marketing. For an under construction page to uphold the above-said benefits, it will have to sport an excellent template. You will have to make sure that the customers would not misinterpret your site to be broken or facing problems. By using the WordPress Under Construction plugin, you can avoid such predicaments. How to use WordPress Under Construction plugin to create an under construction page in 5 minutes? 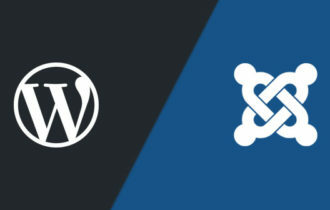 The beauty of WordPress is customization with the help of Plugins. You can find plugins to do almost anything in the WordPress. With the help of the WordPress Under Construction page plugin, it takes little effort and time to create an under construction page. Follow the below procedure to create an efficient, simple, fast, and a user-friendly Under Construction Page. The plugin can be installed and activated in a few seconds since it is relatively small. Once the installation is done, move to Settings > Under Construction. You have an option to customize an Under Construction Page or even a single click at the bottom will have your site ready with an Under Construction Page. Every included template has a unique design and attraction that would get the customers visiting the page, again and again, all the while anticipating the complete website. The UnderConstrutionPage’s PRO Version is coming out in the near future with the new features to make the UCP more fun and exciting. Here are just a few fantastic features you will be getting with the pro version of the UnderConstrutionPage. 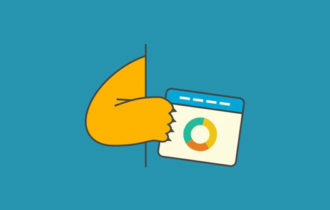 Conversion Tracking: You can keep track of the audience who visit your site with the Conversion Tracking feature. It can automatically track the conversions from newsletter signups, and contact form submits, and all this data will be sent to the Google & built-in analytics. Custom Private Access Links: With the help of custom expire settings, you can create as many links as possible and can allow only a particular set of customers or a customer to have access to the new website. Local Emails / Leads Storage: With all the leads being stored in the UCP, there is no need for the 3rd party autoresponder services. Visual Drag&Drop Builder: Take elements and drop them to your page. Easy as that. With numerous options to choose from the version, deciding and implementing an under construction page plugin with all the beautiful designs and social media links before starting a website is the best option.